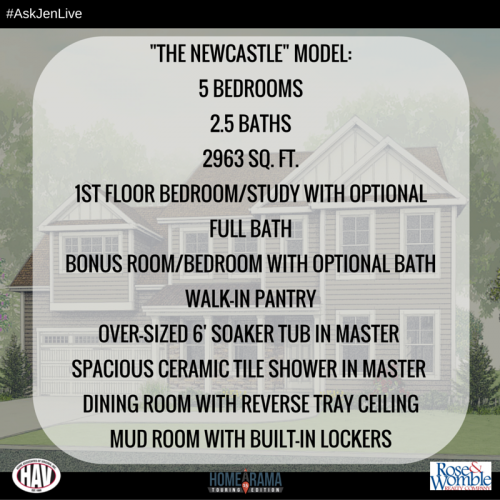 This week, Ask Jen Live took a trip to the new homes community of Augusta at Centerville Commons in Chesapeake, built by Home Associates of Virginia. Stan couldn’t come with us today, so we’ve got Babette–look at this beauty! She’s 4 years old and a happy go lucky girl. We’re headed to our new homes at Augusta at Centerville Commons. Augusta at Centerville Commons is located just minutes away from the Greenbrier area of Chesapeake and Kempsville in Virginia Beach. Built by Home Associates of Virginia, this community will feature 3-6 bedroom homes from the high $300s. Here is Babette with our amazing site associate Fran Spence. Fran was kind enough to show us around the Newcastle model here at Augusta at Centerville Commons. The Newcastle model is currently open and ready for touring at Augusta at Centerville Commons. 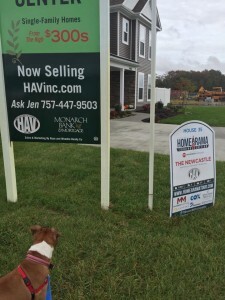 This home is also participating in the 2015 Tidewater Builders Association’s Homearama now through November 1! Below are some of the features for this model. Babette and I love the hardwood floors that are from Naturally Aged Flooring. Babette would love to cozy up in front of this fireplace! Standard feature in our homes. Today’s featured home is built by HAV, INC. (Home Associates of Virginia). Their team believes in building more than just beautiful homes, but also a better future with communities you are proud to call home. Read their testimonials here. And as a bonus, HAV is sponsoring today’s featured pup, Babette, from the Norfolk SPCA. She is ready to find her fur-ever home, just like you! 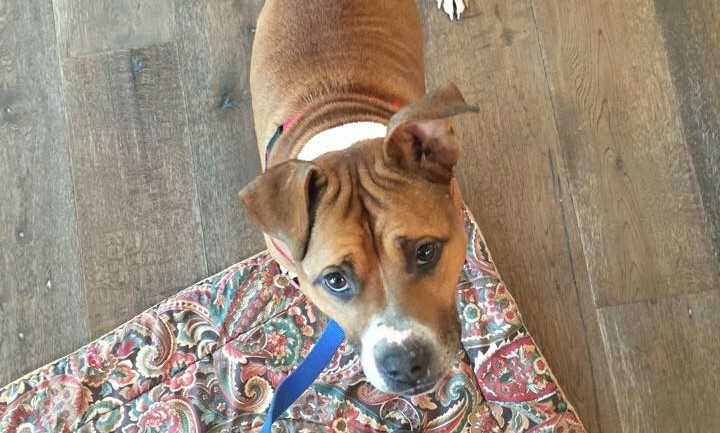 Contact myself or the Norfolk SPCA if you’d like to schedule a meet and greet with this sweet heart! Thank you to all that joined me for ‪#‎AskJenLive‬! 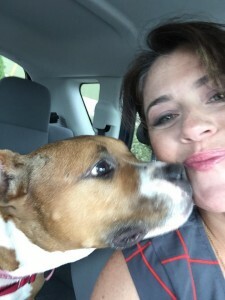 If you have any questions on this week’s featured pup, communities or any other ‪#‎RWNewHomes‬ property, feel free to contact me via my online form or give me a call at (757) 932-8777.